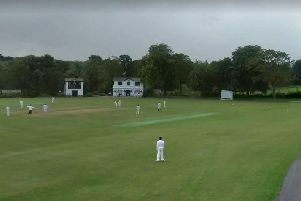 Harrogate CC slipped into the ECB Yorkshire Premier League North relegation zone after losing out by 51 runs at home to Castleford. George Ross’ side, who won the division in 2016 and spent last season very much challenging for a second successive title, have endured a disappointing start to the campaign and have now tasted defeat in each of their last four league outings. Their latest reverse result leaves them second from bottom of the table with only one victory to their name, and just winless Acomb beneath them in the standings. Saturday’s newly-promoted visitors to St George’s Road managed to post 192 all out batting first, their talismanic ex-Yorkshire CCC skipper David Wainwright the mainstay of their innings with a knock of 62. Ashley Griffin performed superbly with the ball for ‘Gate, knocking over Castleford’s top three batsmen to leave them 24/3 on his way to figures of 4-37. Tom Geeson-Brown and skipper Ross each took a pair of scalps and the hosts then made a solid start to their reply. They looked fairly well-set at 64/1 then 93/3 as Ross contributed 39 at the top of the order, but a spell of 5-36 from Eddie Morrison then saw ‘Gate collapse to 97/8. Geeson-Brown offered some resistance with a defiant knock of 29 not out, but the tail had been left with too much to do and the last wicket fell with the home score on 141.